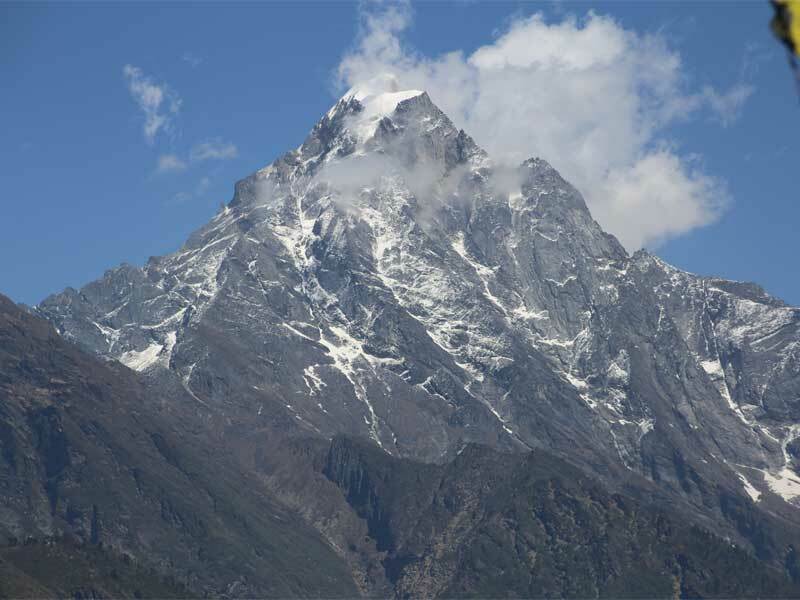 Everest Base Camp Trekking is a world class epic journey in the Everest region of Nepal. 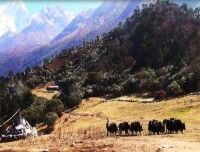 This is the most popular trek in Nepal. 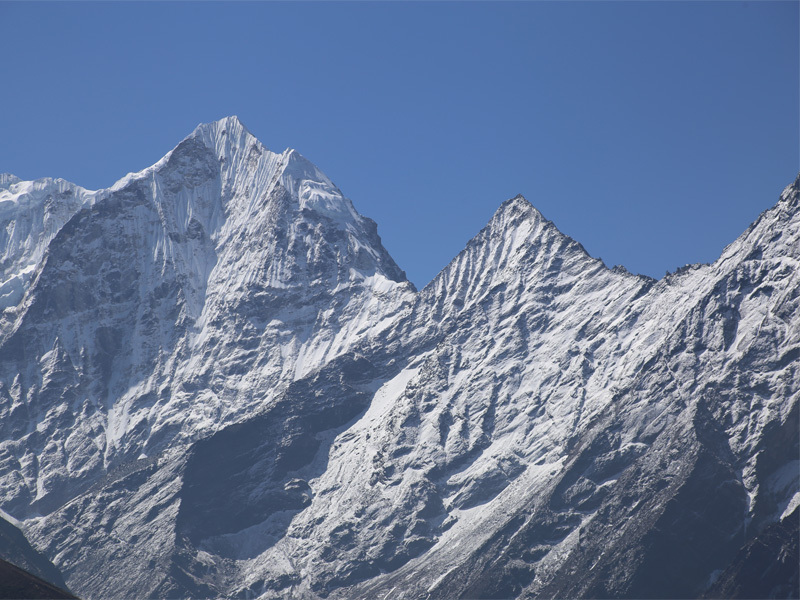 The natural and cultural sophistication has made the trek to Everest base camp extremely popular and enticing. The trek leads you to the base of the world’s tallest peak- Mt. Everest (8848m). This trip is especially designed to the adventure loving trekkers to experience the difference in the core of the Himalayas. 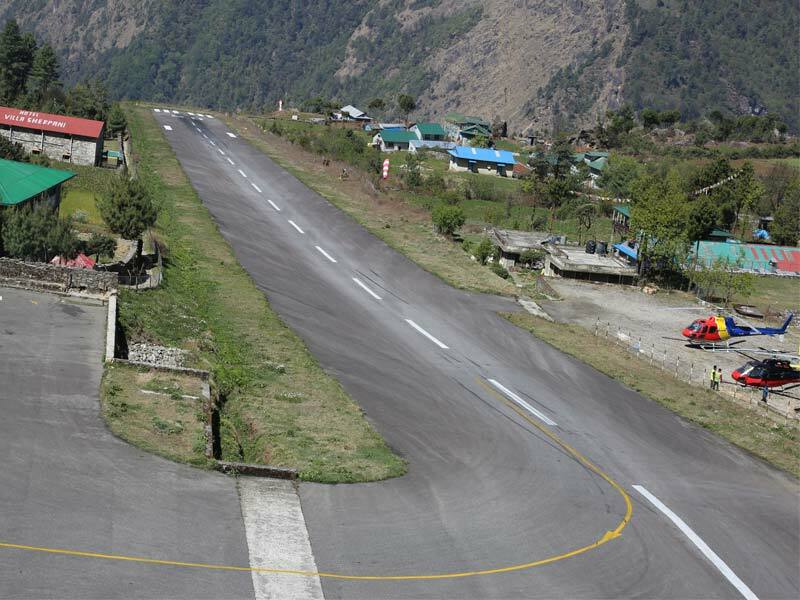 Everest base camp trek commences from the Lukla airstrip after the picturesque Himalayan flight from Kathmandu. Meeting further crews in Lukla, the trek begins above the Dudh Koshi valley. crossing some suspension bridges, you enter to the Sagarmatha National park. Rhododendron, birch and juniper forests are beautiful. Himalayan goat, blue sheep and leopard types of Animal are found there. After crossing Dingbuche, the trail to EBC is mostly isolated and dotted by the glacial moraines. 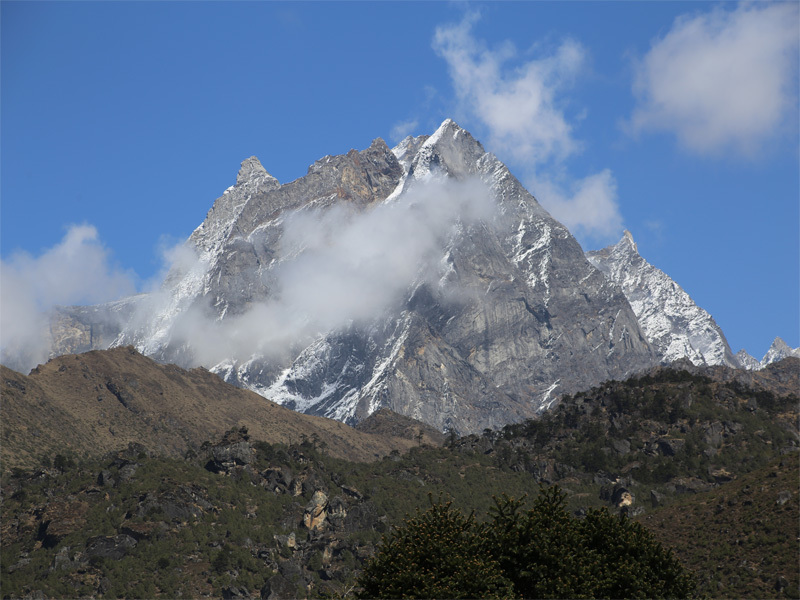 The Himalayan views that can be explored during the journey to Everest base camp include Mt. Everest, Lhotse, Lhotse Shar, Makalu, Amadablam, Thamserku, Kantega and others. 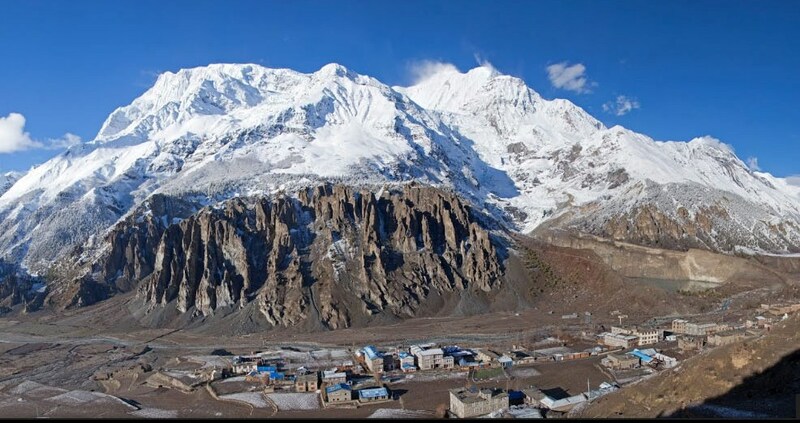 Everest base camp and Kalapatthar are the final destinations of this trek. Sherpa culture and hospitality is another flaming charm of the Everest base camp trek. 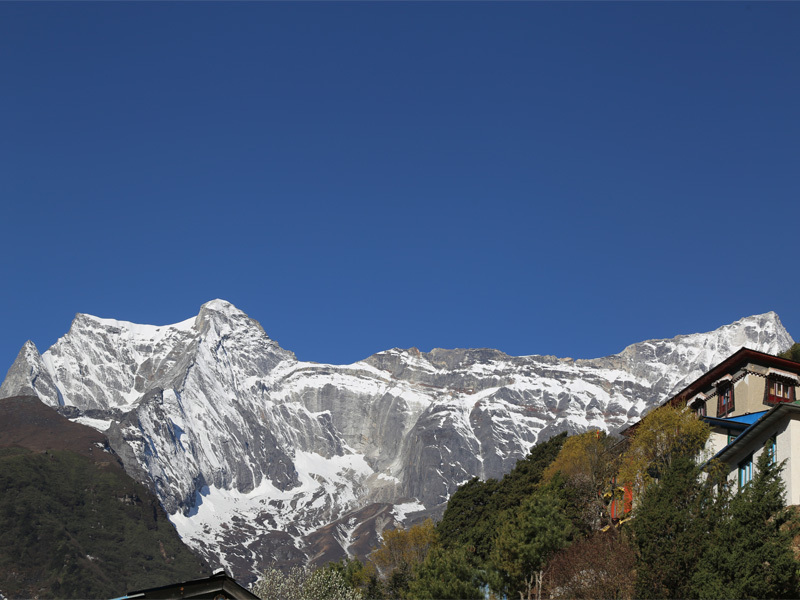 Namche Bazaar, Khumjung, Pangboche and Tengbuche are some of the representing Sherpa villages. Monasteries and Chhortens lie there. While walking, Mani walls offer a great satisfaction on the trekkers. 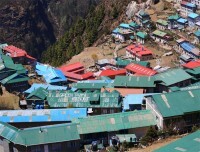 Namche Bazaar and Khumjung are known as the center of the people of Khumbu region. 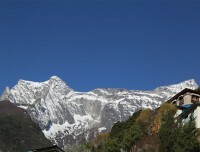 Mani Rimdu festival is celebrated in Tengbuche. Sherpa are the renowned Himalayan leaders. They are equally forward in providing hospitality. Lovely Nepal Tours and Travels organize Everest base camp trekking with perfectly designed itinerary that include acclimatization days. Please, contact us to customize the itinerary or for the further details about the trek. 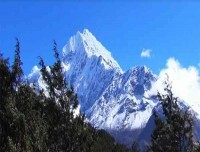 We are here to make your Nepal trek holiday spectacular. Day 01:Arrive in Kathmandu Airport (1345m). Day 02:Sightseeing around Kathmandu Valley and trip briefing. 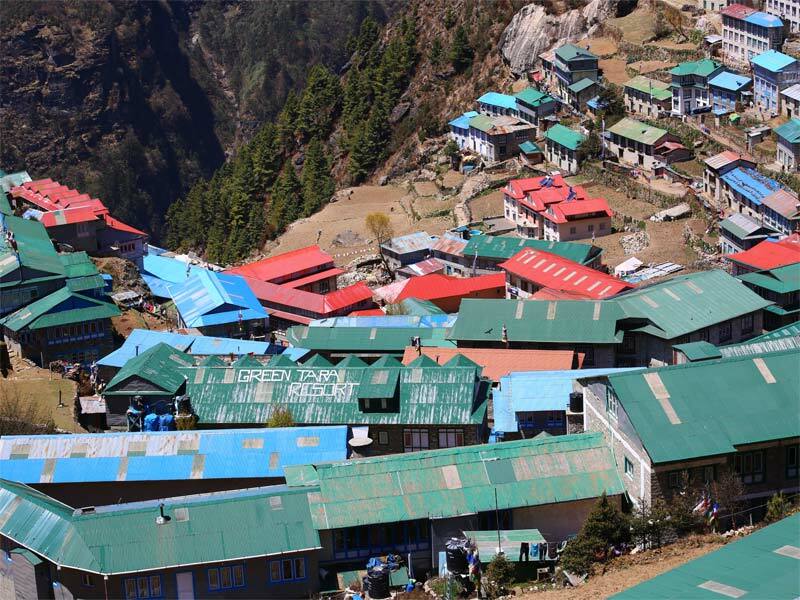 Day 03:Fly to Lukla (2840m) and trek to Phakding (2610m). About 4 hours. Day 04:Trek to Namche Bazaar (3440m). About 5 hrs. Day 06:Trek to Tengbuche (3860m). About 5 hrs. 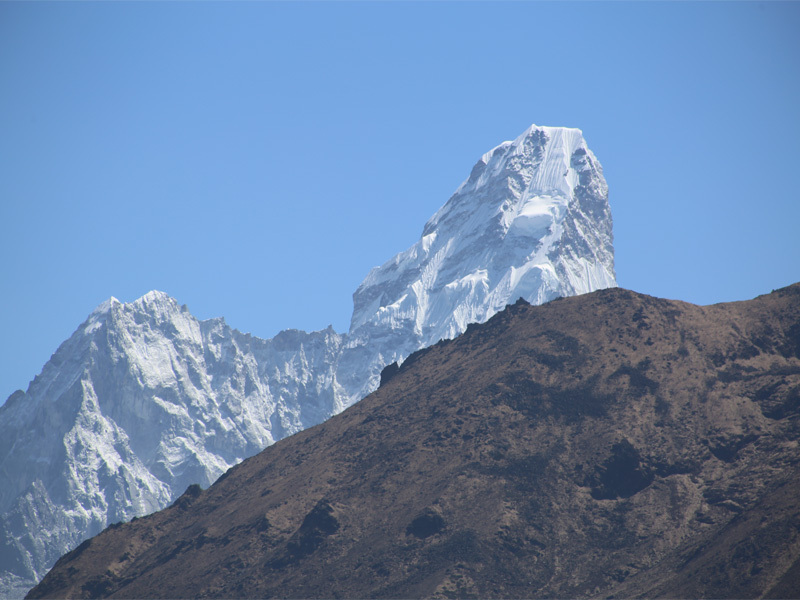 Day 07:Trek from Tengboche to Dingboche (4410m). About 5 hrs. Day 08:Day trip to Chhukung valley (4731m) and back to Dingboche. About 4 hrs. 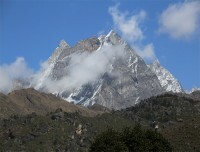 Day 09:Trek from Dingboche to Lobuche (4910m). About 5 hrs. Day 10:Trek from Lobuche to Gorakshep Evening hike to Everest Base Camp and back to Gorakshep. About 7-8 hrs. Day 11:Trek from Gorakshep to Kala Patthar (5550m) and trek back to Pheriche (4243m). About 7-8 hrs. Day 12:Trek from Pheriche to Namche Bazaar (3440m). About 6 hrs. Day 13:Trek to Lukla (2840 meters). About 6 hrs. 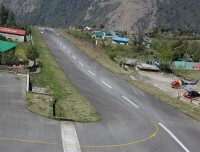 Day 14:Fly back to Kathmandu from Lukla. Day 15:Rest day day in Kathmandu. Day 16:Transfer to the airport for your onward journey. An experienced, helpful and friendly Guide and porters ( one porter for 2 people). Nepal entry visa fee Which you may easily issue the visa upon your arrival at International Airport . You will require 2 passport size photos. Your personal expenses and entrance fee while you are doing sight seeing tour in kathmandu. Day 14Fly back to Kathmandu from Lukla. In the morning, we fly back to Kathmandu from Lukla. Then transfer to the hotel. The whole day can be used for your rest or go out for the shopping. On your special request for the further activities, we can customize it/ Please, inform on time. Overnight at hotel. Day 15Rest day day in Kathmandu.Having a rest day is a wise decision as weather in the Himalayan region/high altitude region can be changed in no time. So, rest day will be used in such situation. If the flight is on time, then you can take a sightseeing trip in the Kathmandu valley. Overnight at hotel. Day 16Transfer to the airport for your onward journey.Thank you for your trip with Lovely Nepal Tours and Travels. Our representative drops to the airport for the final departure or to your further destination.